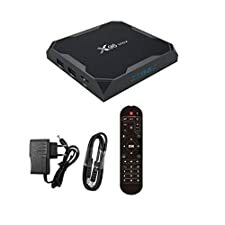 ❤ Android 7.1 Smart TV Box: Android TV BOX,smart tv player support HDMI CEC, local Media playback,Support HDD, U Disck ,TF Card ,HDR10,64 bit Quad core ARM Cortex-A53 CPU up to 2.4 GHz Ultra high frequency with WiFi 2.4GHz HDMI Media Player..
❤ Supports multiple connections such as Ethernet 10 / 100M and 2.4GHz WiFi, TF card(supports external SD card,Up to 32GB), USB flash drive, etc..
❤ With LAN and Wifi connection, it allows higher speed to browse website, play games, run APPs 4K/2K H.265/H.264 decoding and playing ultra HD video, brings you Excellent Definition even on a larger screen. ❤Enjoy all your favorite movies, Sport shows and entertainment programs. 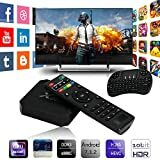 And you can also save the games, movies and TV shows you like, just take advantage of the 8GB storage.This TV player box can be placed onto the wall Easily,and easy to store and helps you save space..
❤ You will get : 1 x X96 mini Android TV Box ,1 x HDMI Cable ,1 x remote control(battery is not included), 1 x User Manual ,1 x Power Adapter.Our product is certified with FC Certification 、CE&ROHS Certification.Guarantee that the software inside the tv box is legal software,please be assured to buy..
[Fun Unlimited] - Android 7.1 OS Smart TV Boxx. Users can download, install or uninstall hundreds of free software, games and application programs easily and conveniently. 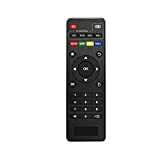 You can find many useful add-ons for your TV box from Internet or from Google App Store. It is built for Family Fun & Entertainment..
[Powerful Hardware] - Amlogic S905W 64 bit Quad core ARM Cortex-A53 CPU up to 2 GHz Ultra high frequency, provides you with ultra-fast running speed and professional graphic processing ability. Supports 1GB DDR3 RAM 8GB eMMC ROM gives you more space to enjoy your entertainment. 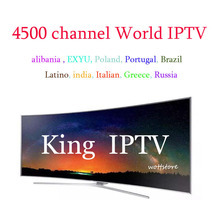 Supports 2.4Ghz WiFi, and Ethernet Connection..
[High Quality] - Based on H.265 HD decoding, it offers 4k * 2k output with 100Mbps cable network which provides you high definition viewing and fluent video playing. It Supports decoding and playing almost all popular audio and video formats..
[FREE Mini Wireless Keyboard] - Wireless rechargeable mini US keyboard with touchpad included. 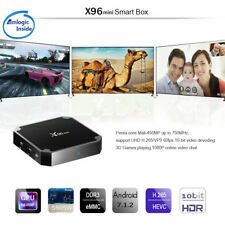 Makes typing and browsing very easy..
[Product Guarantee] - 100% Genuine Product Warranty for this X96 Mini TV Box. Don't get burned by buying from Cheap 'Just Launched' Chinese Knockoff Stores. 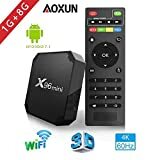 Check Feedback..
[Android 7.1 OS TV Box] -Quad core Amlogic S905X Cortex A53, includes a Quad-Core GPU, you are able to download and use millions of apps in the play stores.Meet many of your needs..
[4K 3D HD X96 MINI TV Box] - Supports 4K 1080i/P resolution which is 4 times of full HD.With H.265 hardware decoding, can save 50% bandwidth resources when you watch the 4K movies..
[Home Video Streaming] - This mini smart box media player makes it easy to watch and stream videos, brings higher speed to browse website gives you awesome home theater experiences..
[Wi-Fi function, More Stable] - Essentially, you have access to all the things you would on your phone with wifi.If you have any clips on an USB drive and want to plug it into this device,it will work well..
[Simple Connection and Use] - The 4k android box come with an IR blaster and an USB input, with HDMI 2.0 cable, make it easier to plug in a wireless keyboard and mouse to make you better experience.. 1. [2018 THE LATEST ANDROID 7.1 SYSTEM] - The upgraded system is more stable than the previous version, and most software, games and applications can be installed or uninstalled.. 2. 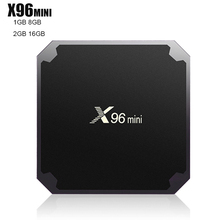 [SMALL SHAPE, POWERFUL FEATURES] - The X96 MINI TV BOX has two USB ports, a TF port, and an HD port. You can connect TVs, computers, watch TV programs you want to watch, and play games you want to play.. 3. [2GB DDR3 RAM,16GB EMMC FLASH] - Big space for memory.Applications can be opened and run fluently.Also supports Micro SD(TF),Up to 32GB,so you can download enough applications,movies.. 4. [SUPPORT H265 DECODING, 3D 4K] - decoding speed is higher than the ordinary decoding speed, saving you bandwidth resources. 3D 4K HD playback, brings you visual enjoyment.. 5. [Aoxun PROFESSIONAL SERVICES TEAM] - Aoxun has a professional technical team to solve your problems anytime, anywhere. Bring you the perfect shopping experience.. Compatible with most of Android TV Box TX3 Mini, X96 Mini, X8 Mini,T95Z Plus,T95N,etc ..
Low power consumption, energy-saving and eco-friendly. High quality remote control, 100% test before shipping..
pendoo guarantee One Year Warranty and the best after-sales service..